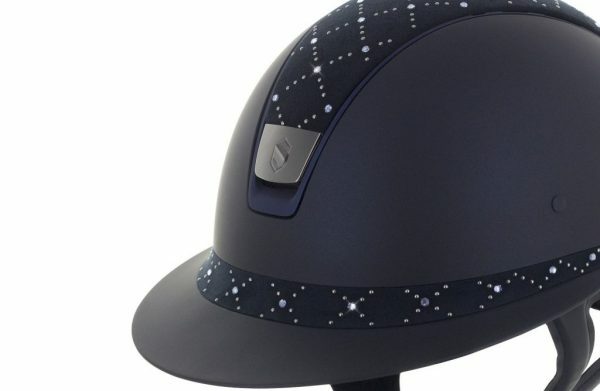 Inspired by classic women’s hats, the Miss Shield is equipped with a wide visor and a customizable frontal band. 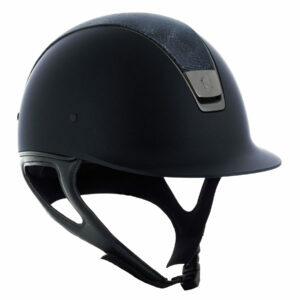 The Miss Shield has been designed on the base of classic Samshield helmets (Shadowmatt and Premium) and has the same technical features (dissipation of energy produced upon impact, no risk of tipping the helmet in case of violent movement, exceptional ventilation, perfect adjustment, comfort and hygiene). The Miss Shield meets CE VG1 (Europe) and ASTM/SEI F1163-15 (UK, North and South America, AUS) standards. Available in Shadowmatt (matte paint outer shell) and Premium (Alcantara outer shell) versions. 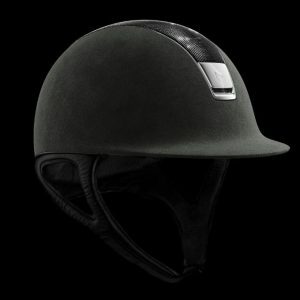 Create a unique helmet by customizing the frontal band, top, blazon and the trim of the helmet! The outer shell of the Miss Shield is made of polycarbonate, which is a material used, among other things, for high-end motorcycle helmets. The Shadowmatt version is covered with anti-scratch matte painting. The Premium version is equipped with original Alcantara®. 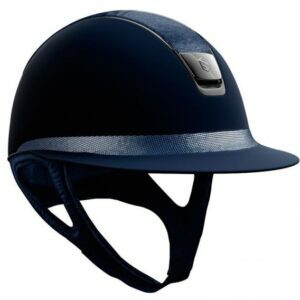 The internal comfort foam, “shape memory”, ensures a constant thickness over the years of use and the semi-rigid jugular cancel all risks of tipping the helmet in case of a violent movement. 3 shell sizes are available: S (52cm-56cm), M (55cm-58cm), L (57cm-61cm). 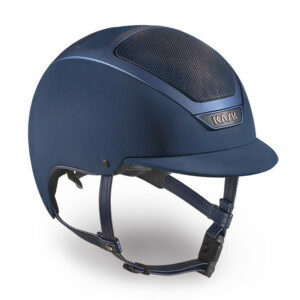 Equipped with a front air inlet, the Miss Shield helmet provides exceptional ventilation. Fresh air is channeled from the front entrance to the back extractors around the comfort foam which prevents sweating. 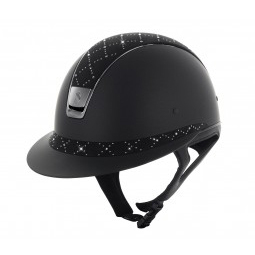 The Miss Shield Shadowmatt and the Miss Shield Premium are available in black, blue and brown.